I'm a big fan of candles and reed diffusers. They look nice, smell nice, and feel romantic. 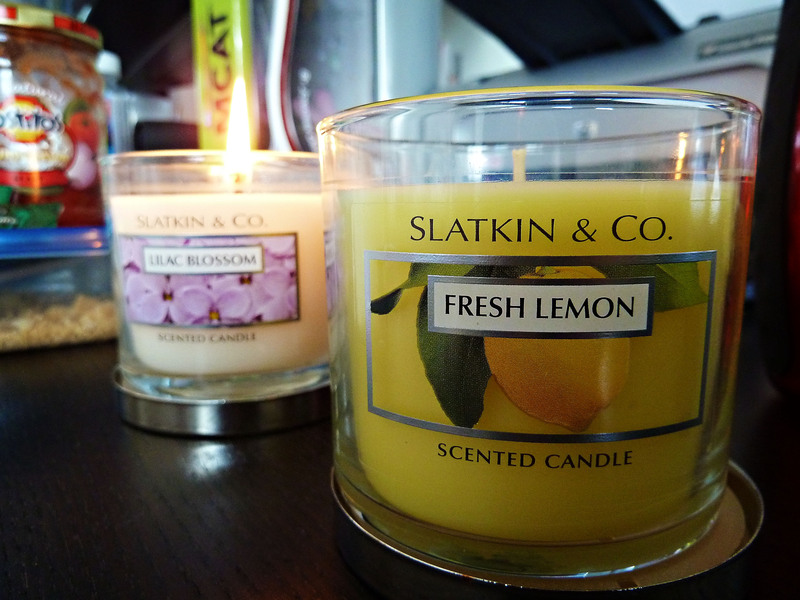 Sometimes, I think about telling the boyfriend to buy me candles instead of roses. But that might be asking for a little too much. We went to The Row for the CASA Culture Show after party last night at the Beta house. Somehow in my mind, I thought it would be a fun way to kick back and dance. A little alcohol, dancing with the bass down low, and hanging out with friends. The event turned out to be a bust - there was no room to dance (I was literally sandwiched between three couples grinding intensely), insufficient alcohol, and all of my friends in APO decided to be extremely clique-y (essentially ignoring everyone that is not in APO). So the boyfriend and I left the party early. I was reminded about why I used to avoid frat parties at all costs. So there is a reason to my madness. But the slow burning candles sitting on my table refreshens my mood. The smell of lilac blossom is floral and subtle, exactly how I love it. The Caribbean blossom is potent and sweet. The fresh lemon is crisp and citrusy - extremely refreshing. Bath and Body Works also brought back (for a limited time) items from their discontinued signature collection. I fell in love with the Night-Blooming Jasmine scent three years ago during USC orientation. I was rooming with a journalism major from Ohio who just happened to be using the Night-Blooming Jasmine body spray. Two weeks later, I took a trip to our local Bath and Body Works to buy the fragrance only to find that they had discontinued it. Naturally, when I saw it on sale at Bath and Body Works online, I couldn't resist. The smell is simply exquisite and intoxicating.